65. Ronnie Fieg x ASICS GEL Lyte III "The Cove"
Ronnie Fieg single-handedly gave ASICS the niche sneaker buzz it’s never really had. 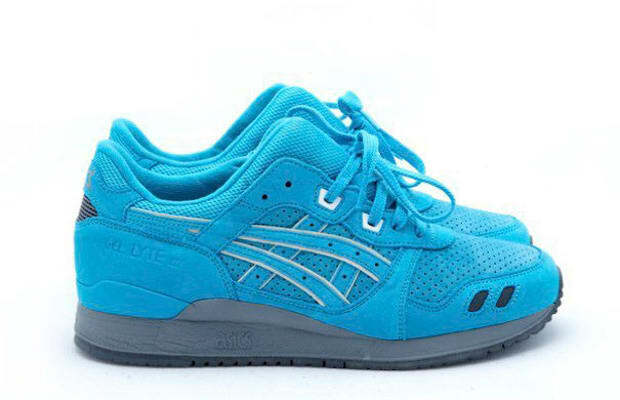 Colorway after colorway has dropped, but this “The Cove” model was perfect. Inspired by an amazing getaway spot in the Bahamas, Fieg created a new hue of blue and dressed it up in top-notch suede. He’s had a lot of collabs drop as of recently, but we think it’s his best to date.